Architecture is a great field of study for those who have in-born artistic talent and creative thinking. Diploma in Architectural Assistantship is a three-year duration course. This is a job oriented course in the field of building designs, urban planning and construction management. The students develop critical, analytical skills to excel in the built environment. It focuses on increasing knowledge for visualizing and organizing interior and exterior spaces. It also imparts the basic knowledge of building materials and their behavior under varied climatic conditions. The students attain the understanding of different climatic elements incorporated for designing green buildings. They also become familiar with various building services like water supply, waste water disposal, firefighting, sound insulation etc. 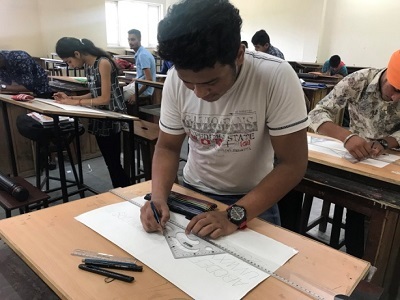 Students also visualize the perception of design through 2 & 3-dimensional designs and compositions through graphic representation and with the help of Auto-Cad. 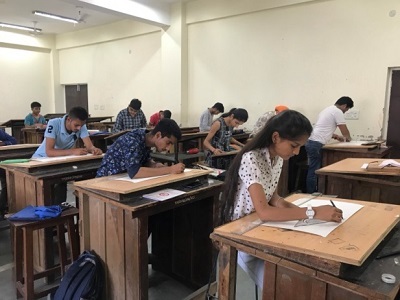 While understanding the concepts of structure-designing, they also develop skills in preparing complete working drawings. They also gain the requisite knowledge to assist in preparing master plans, layout of urban development schemes. They study the set of norms adopted by local bodies and national building codes. Our students are able to prepare estimate of buildings and attain landscape designing skills. To infuse a motivational spirit in students for innovative designs , creations and entrepreneurship. To promote the necessary impetus and encouragement to all students with tough competitions and regular practice and proper industrial training with architects. To undertake projects which offer opportunities for long term interaction with academia and Industry/ Architects. To address important issues facing the built environment, sustainability and green buildings.